We have secured a bright future for a series of Grade II* listed buildings, after successfully completing the purchase of the remaining land at the former Hardys and Hansons Kimberley Brewery. The Brewery Yard development is the latest phase of redevelopment and regeneration for this historical site. We began work at the former Kimberley Brewery in 2015 and have since completed the first phase, as well as 75% of the second of five phases of development at the site – which will see a range of quality apartments, townhouses, semi-detached and detached homes in the sought-after location. 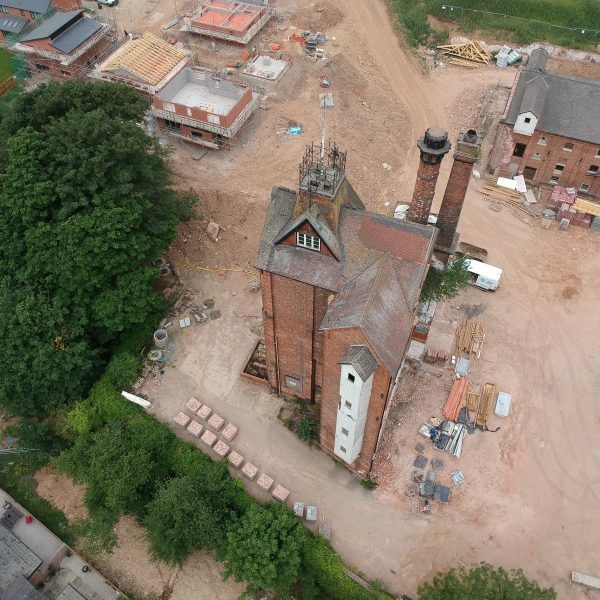 Successfully completing the purchase of the remaining land at the site means that the preserved Grade II* listed buildings surrounding the former brewery yard – including the kilns, kiln stores, tower and the maltings – can now be repaired and converted into luxury dwellings and office spaces. Work on the listed buildings will now begin in earnest – presenting some exciting opportunities, as our Sales and Marketing Manager Vanessa Gregory goes on to explain. “This is a landmark day in the redevelopment of the former Kimberley Brewery site!” said Vanessa. The site has been empty since 2006 and almost fell into a state of disrepair – with many local residents fearing the site would never be redeveloped. The opportunity now exists to secure the future of the buildings and the historical significance of the site, as well as building new homes and boosting the local economy through the creation of a business hub, with great links to the M1 and Nottingham city centre. East Midlands-based law firm Nelsons, who represented us throughout the purchase process, are delighted that completion has been achieved and see an exciting future for the site, as Mary Gharmount, associate commercial property solicitor, who led on the legal aspects of the deal, goes on to explain, “We’ve been working on this project since 2016 and we’re really pleased to have assisted Fairgrove in its recent acquisition of the latest phase of the Kimberley Brewery housing development. For more information about the range of properties at Hansons View, visit www.fairgrove.co.uk/current-developments/kimberley-hansons-view/.